It was an accident. Everything was not planned. 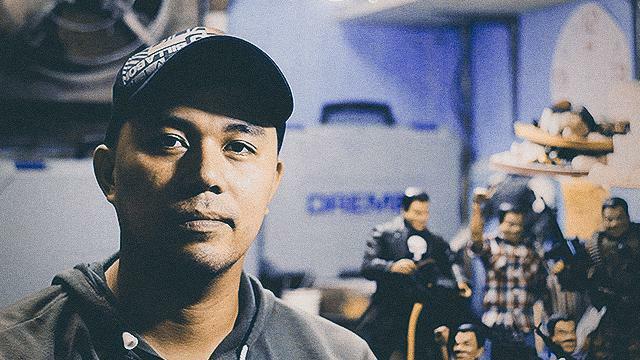 A husband, OFW, toy collector, and toy maker, this 36-year-old man was just pursuing his hobby. 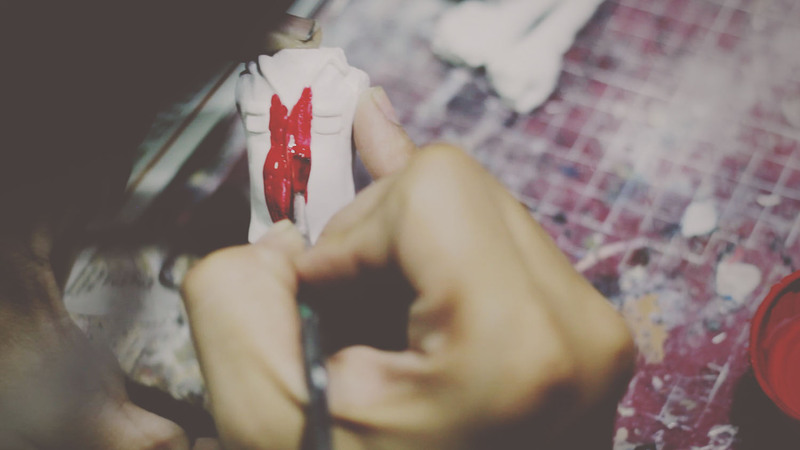 Making toys, cliché as it sounds, is his passion. It all started when he was nine. His family didn't have enough money to buy him the toys he wanted. So he made his own versions of Batman, Superman, Spider-Man, and all the other characters a 9-year-old fancies. He used tin cans, straws, plastic bottles, and parts of old, hand-me-down toys. He cut, glued, screwed, and tweaked these materials to become the action figures of his dreams. He grew up to be a regular guy. A li'l tall and weighs just about right. 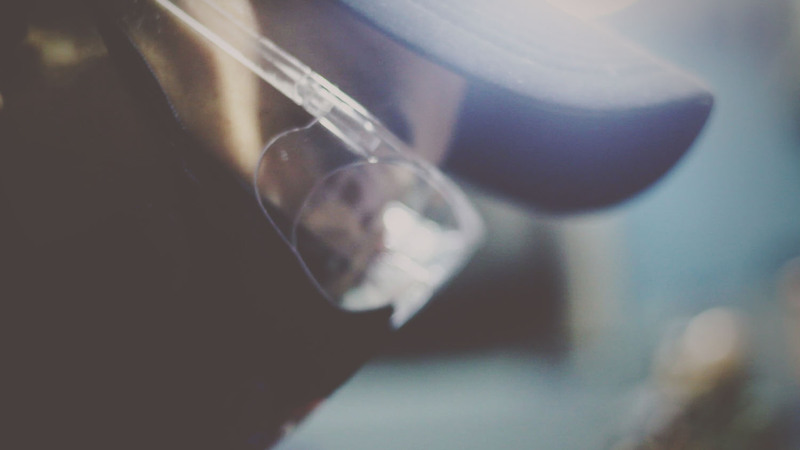 He says he wears a cap and hoodie almost everywhere—even at night, inside the bars where his band performs. He plays the drums. He then brought his act onboard a cruise ship. For a year he braved the waves to support his wife and two kids. But despite of all the adulting he had to do, he never lost his childhood passion. He gathered scrap materials inside the ship and continued making toys. He went to local toy conventions whenever he was back in the country—both as a merchant (he modified pre-existing action figures) and a fan. Then he caught a break. A big one. It brought him side-to-side with President Rodrigo Duterte with various media outlets documenting their meeting. In those photos and TV newscast footages, Digong is seen clutching a toy that bears his likeness, smiling as he greets the family of the craftsman who made them. 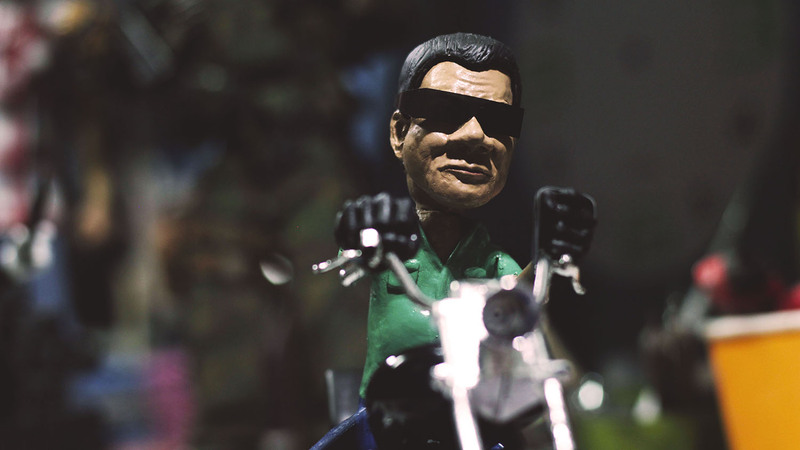 Right before the end of that exciting campaign period, a friend asked our OFW, DIY toymaker if he could make a toy in honor of their idol, the Davao mayor who was running for the highest post in the land. 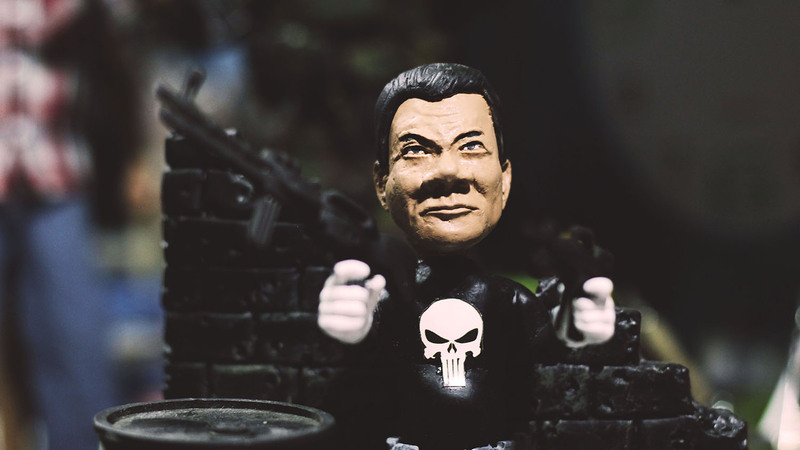 The first batch of Dutertoys were made solely for their collection. His friend liked the designs, and proposed that they try to sell some. 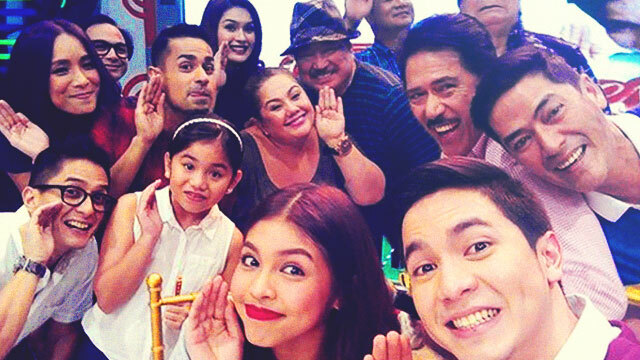 They knew that ToyCon was coming up, probably the best place for start-up manufacturers to showcase their product. They were able to finish 40 pieces. They were all gone by Day 1 of the convention. Soon, orders for more Dutertoys came. His Facebook Messenger, before an app he could use to chat with his wife and make funny faces with his kids, morphed into his online order placement form. He's been making them nonstop now for almost three months. His toys has been on TV, newspapers, and even brought him inside Malacañang Palace. He's also told his bosses at the cruise ship that he won't be returning soon. One rainy day, FHM decided to visit him on his home in Pasay City. Inside his small studio, a worn-out wall fan beside him, he excitedly told us about his work and his life. Surrounded by toys he bought at the mall, toys he made himself, and toy parts that will become future Dutertoys, he smiles, like a 9-year-old child, proud of his work. 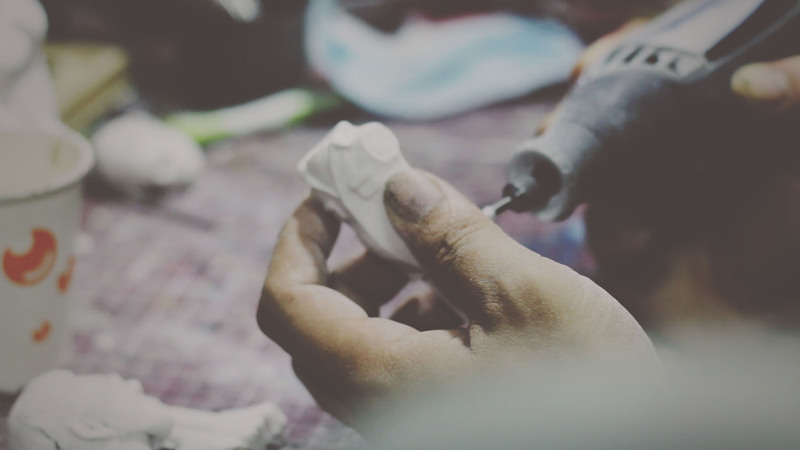 There are no tin cans, straws, plastic bottles, and parts of old, hand-me-down toys inside his studio now. He's gone legit. He is Dennis Mendoza. He is a Toymaster. This is his story. 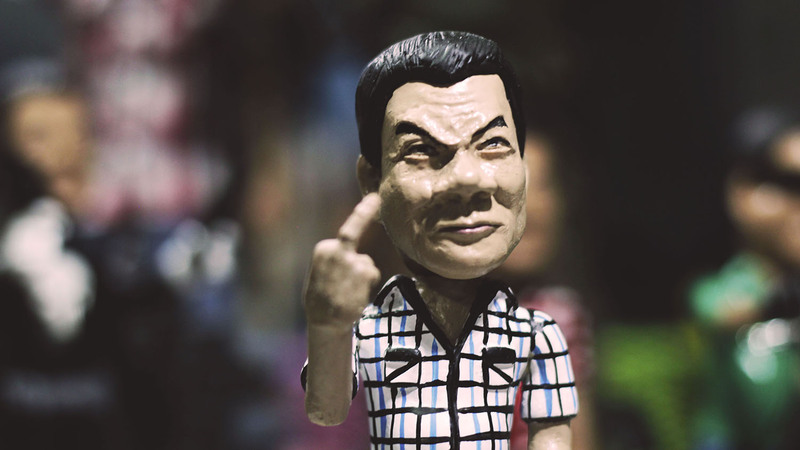 You can order your Dutertoys via Dennis’ Facebook page for P800 (7-inch) and P7,000 (12-inch).